This is one of those authors that will forever have a hard time releasing something people like. Everyone’s expectations are going to be through the roof. This one sounds like he should just stick with male protagonists. Oh, yes, there will always be expectations. One thing is for certain: badass females aren't his specialty. I'm glad Jazz grew on you. I would have enjoyed Artemis much more if she were a less problematic character. 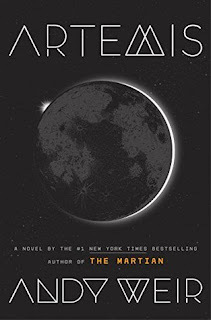 So from this I'm gathering I should still read The Martian first since I have it and haven't gotten around to it yet. And I was ready to jump into Weir with a female character. Oh well. At least it was a decent read. 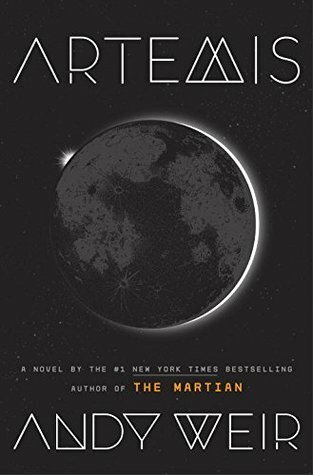 Yes, The Martian is a much better book all around. That's too bad, sounds like it had potential but maybe he needs to work on his female protags a bit. I may still read it but I'm not chomping at the bit. Glad to see your thoughts so I know going in what to expect. I didn't even realized Jazz was a female at first, and I felt like he did that on purpose. Weir was going for something and just didn't succeed. Yeah, I've seen some mixed reviews for this as well. As people have already said, part of the problem may just be his success with The Martian. But having a book focused almost completely on one character, and then not having that character be particularly likeable, makes it tough for a lot of readers to love the book, I'm sure. I can see how people would be disappointed if they were comparing it to The Martian. It didn't live up. I'm OK with that. I'm not OK with Jazz's character development, though. It definitely made it a tough read for me. Agh, what a bummer that it wasn't to the level of The Martian. That was one of my favorite books, and definitely one of my favorite audiobooks. Have you read Wool by Hugh Howey? Now that is a badass female character.